Essaouira taxis can be an important part of your trip for getting around town or travel to and from Essaouira. Are you planning a holiday to Essaouira? If you are wanting to visit the different parts of Essaouira, you will most likely be wanting a taxi in Essaouira. First time visitors to Morocco, who don’t understand the taxi system can end up paying more for their ride. So, let’s get on straight away and help you to travel around Essaouira without hassle. Whilst visiting Essaouira, you will probably need to travel around town to visit the main attractions in Essaouira. Essaouira is a popular Medina town to visit in Morocco, and you can read our list of Essaouira things to do for free. Additionally, there are many interesting and historical places to enjoy in Essaouira. When you need to travel around town for a short journey you could consider a public Petite taxi or a public Grande taxi. 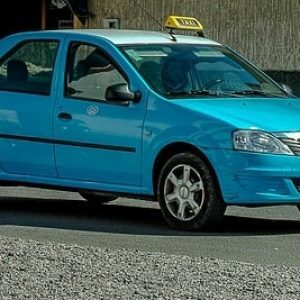 Petite Essaouira taxis are usually small, blue coloured vehicles which can be easily identified. Petite taxis are public taxis and these can be hailed in the street whenever you need them. The Petite taxis are usually old, do not have air conditioning and are licensed to only seat a maximum of 3 passengers. They are only able to carry you around within the city limits, so for short trips across town, they can be a perfect solution. A journey from one part of Essaouira to another usually costs only 70p or 90c Euro in total. Hailing a Petite Essaouira taxi is simple, you just wave at the taxi, and then tell the driver where you wish to go. Always remember to either fix a set price that you are happy with or ensure that the driver starts his taxi meter when you get into the car. Grande Essaouira taxis are usually large, blue coloured vehicles which can be easily identified. Grande taxis are public taxis and these can be hailed in the street whenever you need them. There are some newer models around town presently, but still, they do not have functioning air conditioning. Alternatively, you can find a myriad of Grande Taxis at the Essaouira place de taxi which is located at the Essaouira Bus station, which you would arrive at if you were taking a Bus to Essaouira from Marrakech or other Moroccan city. The Grande taxis are usually old, do not have air conditioning and are licensed to seat a maximum of 6 passengers. That is, amazingly, 4 passengers in the back seat and 2 people in the front passenger seat. All in all, with no ar conditioning, it’s a bit of a squash, so make sure that you are good friends with the person sitting next to you. Grande taxis in Essaouira are licensed to travel regionally in Morocco, so they can transport you to other cities. Remember though, that with no air conditioning, and old vehicles, it’s not going to be the most comfortable of rides. Hailing a Grande taxi in Essaouira is simple, you just wave at the taxi, and then tell the driver where you wish to go. Always remember to haggle the set price that you are happy with. Grande taxis do not operate meters, so, you really need to know your price before you get in the Grande taxi. 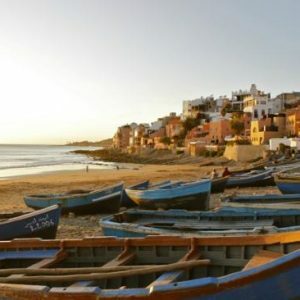 Whilst public taxis can be convenient for travelling around Essaouira, you may consider the advantages of our private Essaouira transfer service. Additionally, we can help you plan a whole itinerary so that you don’t have to take journeys on the fly and hope for the best. To begin planning your itinerary with us, you can contact us and we will be able to assist you fully with your requirements and let you know all of your options. If you are travelling further afield you will most probably appreciate a vehicle which is modern and air conditioned. However, we want to inform you of all of your options for travel to and from Essaouira, whether you choose to haggle with a public taxi, take a public bus or enjoy our comfortable private transfer options. A 2.5 hour journey from Essaouira to Marrakech city or Marrakech Airport. With our private Essaouira to Marrakech taxi service, our driver would meet you directly at your Essaouira Hotel or Essaouira Airport and will transfer you directly to your Marrakech destination. 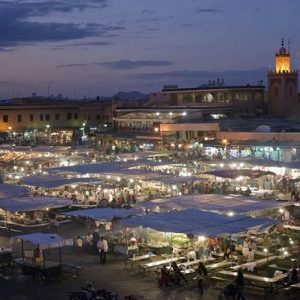 Compare prices and options between Grande taxis, Public Buses and our private Essaouira to Marrakech transfer service. 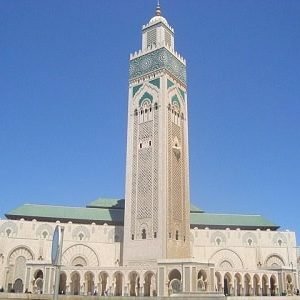 A 5 hour journey from Essaouira to Casablanca or Casablanca Airport. With our private Essaouira to Casablanca taxi service, our driver would meet you directly at your Essaouira Hotel and will transfer you directly to your destination in Casablanca. 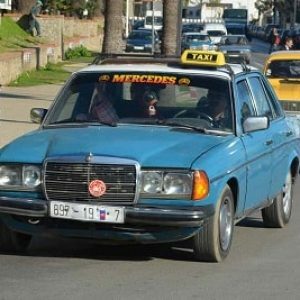 You can also find out about all of the transport options to take you from Essaouira to Casablanca and you can compare our private Essaouira taxis service prices with other modes of transport for this journey. A 2.5 hour journey from Essaouira to Taghazout, the surf capital of Morocco. We offer a private Essaouira to Taghazout taxi service, to take you to your Taghazout Hostel, Apartment or Hotel, including the new Hyatt place Hotel at Taghazout bay. You can also find out about all of the transport options to take you from Essaouira to Taghazout and you can compare our private Essaouira taxis service prices with public taxis and public buses options. A 3 hour journey from Essaouira to Agadir city, and an additional 30 minute journey to get you to Agadir Airport. 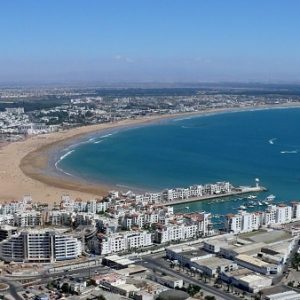 There are choices between public bus, public Grande taxi or private taxi service from Essaouira to Agadir. With our private Essaouira to Agadir Airport and city taxi service, our driver would transfer you, so that you arrive ready to enjoy Agadir. You can find out about all of the transport options to take you from Essaouira to Agadir and you can compare our private transfers service prices with the other transport options for this route. 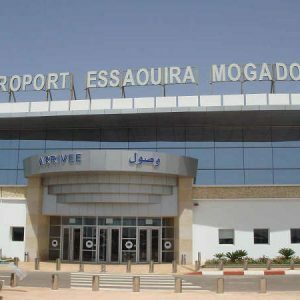 A 30 minute journey between Essaouira and Essaouira Airport. There are choices between public bus, public Grande taxi or private taxi service. Our private Essaouira Airport taxis and city taxi service operates in both directions between Essaouira and it’s Airport. You can find out about all of the transport options for this journey, but we believe that arriving in an air conditioned vehicle beats a non air conditioned public taxi anytime. Need a Essaouira taxi to another destination? Do you need a taxi transfer from Essaouira to any other location not listed above? Do you need a multiple transfer itinerary? Ask us your questions about your transport needs for Essaouira and we will be happy to advise you personally, a solution for your specific requirements.